Mohit Sharma has been the key to bring the much needed discipline to the Indian pace bowling in the middle overs. After a crushing win against South Africa in their second game of 2015 world cup, India have strengthened their hold at the top spot of Pool B. India now has won two important games and would be harboring thoughts of finishing at the top of Pool B. India now take on UAE in their next game at Perth and would be hoping for another clinical win against the team from the middle east. India once again got their basics right against South Africa. Dhoni won the toss and elected to bat once again. The Indian batsmen once again obliged and batted sensibly to post their second 300+ score in the world cup. A chase of over 300 was always going to be difficult at MCG. The bowling and fielding rose to the occasion and delivered a massive 130 runs win, their first win against South Africa in world cups. The South African team on the other hand looked pretty rusty and after a not so impressive win against Zimbabwe this loss should sound as a wakeup call to the pre-tournament favorites. For India though things seem to be falling into place. All the tinkering Dhoni & co did in the tri-series preceding the world cup seems to be bearing fruit finally. The Indian team seems to have identified their core group. The team has the right combination and baring few changes here and there this should be the team which will play most of the games. The Indian bowling has finally found it’s mojo in the shorter format with excellent help from the fielders. Shami and Umesh have been great with the new ball and Mohit Sharma has brought the much needed control as the first change. The spinners too have done very well in the middle overs and have been able to take wickets at crucial times in both the games. The Indian bowling still needs to be flexible and I think that the games in Perth might see Binny replacing Ashwin in the X1. Also when India plays in New Zealand we might see Bhuvneshwar Kumar replacing Yadav as he is more suited to those conditions. I think Dhoni trying out all the bowlers in Australia prior to the world cup has very clear idea about the ability of the bowlers. Dhoni himself would be pleasantly surprised with the control the pacers have shown in the first couple of games and would want it to continue for the rest of the tournament. The batting order seems to have a settled look and most of the top order batters have had a decent knock in the middle. It seems like India are using Rahane and Raina as the floaters in the order and it seems to have worked perfectly for them in the first couple of games. Virat Kohli is playing the anchor role to perfection and we all know what he is capable of with the bat. 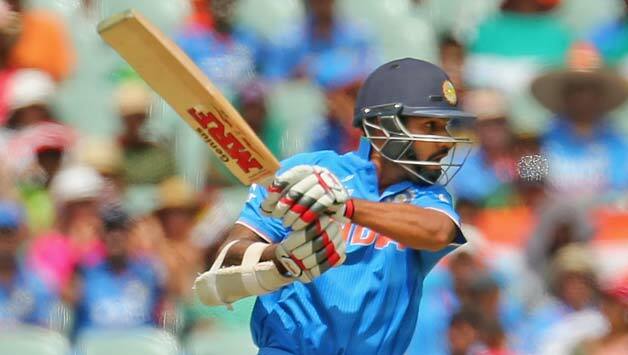 Shikhar Dhawan has been brilliant with the bat and so have Rahane and Raina. The only concern for India would be Rohit’s form and they would be hoping that he will be back to form in the game against UAE. The other concern for India would be the batting in the final 5 overs. In both games they have batted, India were at least 20-30 runs short of what they could have achieved. Jadeja has struggled with the bat and so has Dhoni. India would probably want to have them bat up the order against UAE to give them much needed time in the middle. Overall the team looks good and it seems like they would put up a decent attempt at defending their crown. The biggest plus for India has been their fielding and that is something which will be very important for them on the huge grounds of Australia. The Indian team now has some important games coming up and couple more wins would almost secure the top spot for them in the Pool B. A top spot finish would give them a relatively easy quarter final game. There is still a long way to go but the Indian team would feel quietly confident and would not want to drop their intensity no matter which team they play. The first time I saw Rohit bat was in the game between India and South Africa at Durban. The setting was inaugural World T20 and this was an important game for India on a fast bouncy pitch. India was reeling at 61/4 in 10 overs. A young Rohit Sharma batting with enormous composure for a young player stitched a match winning partnership with the captain to get India to a competitive 153. India won the match and went on to win the World Cup. Few months later in a similar setting but on a less menacing pitch, India was facing Australia in the CB series finals. Chasing a modest 240 to win, India found themselves in a bit of bother at 87/3 when Rohit walked in and joined Sachin Tendulkar. Again Rohit batted brilliantly to score 66 in a 100+ partnership with the little master to win the game for India. So it is understandable that everyone thought that Rohit is going to be the mainstay of Indian middle order for years to come. The hype surrounding Rohit wasn’t misplaced either as he was an extremely talented youngster when he made his debut for India. It is very hard to imagine that it is the same Rohit Sharma who plays cricket for India currently. The Rohit Sharma who plays currently looks fidgety all the time at the crease. He looks sublime when he is batting and then plays an ugly slog to lose his wicket from nowhere. Rohit Sharma’s issues are not technical but temperamental. He is highly successful on Indian pitches as his lapse in concentration is less likely to cost him his wicket but when he plays abroad where the ball does a little bit he is more likely to lose his wicket. In the 90’s a wiry young bowler made his debut. It was none other than Ajit Agarkar. Ajit rose to instant fame and was the fastest bowler in the world to reach 50 ODI wickets. He even won few games with the bat in his first year of international cricket. When we thought that India have finally unearthed a good bowler, his career never took off to the next level. Don’t get me wrong in spite of all the ridicule Ajit gets for his performances he is one India’s best ODI pacers. He has close to 300 ODI wickets at an impressive average and strike rate. Rohit Sharma is a bigger enigma than Ajit ever was. Rohit Sharma’s career is taking similar route to Ajit Agarkar and needs to sort it out before it is too late to do anything. He needs a break from international cricket. He needs to spend lots of time playing in domestic cricket or possibly county cricket if he gets a chance. Playing in county cricket might be very beneficial for him. He will benefit from being away from international cricket and just concentrate on scoring lots of runs. Put his head down and work on his temperament and just score loads of runs which will again put him back in the right frame of mind for test cricket. Rohit is extremely talented and there is no two ways about it. There is hardly any player who makes batting look so simple like he does when in full flow. He is still very young and has lots of time on his side. If he works on his chinks, he can come back to the team and serve Indian cricket for a long time. I hope that he does that and fulfills the potential which we noticed when he made his debut in 2007. He is still a good player but we all know that he can be better. A middle order of Pujara, Kohli, Rahane and Rohit will be a fantastic lineup which can pile up loads of runs in the future. The short and quick tour of South Africa comes to an end and India leave the SA shores with continued concerns with the bowling attack. While Kohli, Pujara and Rahane did exceedingly well with the bat, the Indian bowling continued to struggle to take 20 wickets overseas. The Indian lower order is also a cause for concern as Dhoni and Jadeja do not look reliable number 7 and 8 in tests. Below are the ratings of Indian players based on their performances in SA test series. Shikhar came into this series with some very good performances in ODI’s. Even though there were some concerns over his technique, he was expected to make some runs on this tour. Dhawan had some starts on the tour but failed to convert any of those. His struggle against short pitched stuff would have been noted by bowlers of the other countries. He should be ready to be tested a lot on his upcoming tours. Shikhar will be extremely disappointed with his performance on this tour and will be hoping to correct the same in New Zealand next month. Murali Vijay showed that he has the technique and patience required to succeed overseas. He did an excellent job seeing off the new ball and played with lots of conviction against Steyn, Morkel and Philander. Vijay though will be extremely disappointed that he did not convert his starts to big scores and he loses some points for that. He would like to correct that in the upcoming tours. Being an opener, he needs to make most of the good starts and score big hundreds as it would take some pressure off the middle order. Pujara was one of the success stories on the short tour to South Africa. The youngster once again showed that he has the technique and temperament to carry the Indian batting forward for years to come. He showed excellent technique against the new ball and also proved that he can attack once the bowlers were little tired. His innings of 153 was an absolute gem and the way he attacked the SA bowlers in the final session was great to watch. Before the start of this tour, Virat was the only Indian batsman with a test century outside subcontinent and was expected to lead from the front. Virat did that with flying colors in the first test with a brilliant ton against Steyn, Morkel and Philander on a pitch which was swinging and seaming a lot on the first day. Virat looked extremely comfortable and once against proved that he is one of the best young players in the world at the moment. Along with Pujara, Virat held the Indian batting together in both the tests and with an average of 68, he was one of the rocks of Indian batting on this tour. Rohit Sharma had an extremely poor tour and there is no two ways about it. It is not that he is not talented but his penchant for chasing wide deliveries outside off stump came back to haunt him again in this series. An average of 11.25 with a high score of 25 shows the predicament India find themselves with Rohit. He was the in form player at the start of this series and a lot was expected of him in this series. Rohit would want to quickly forget about this tour and would want to make an impact in the upcoming New Zealand tour. The only reason he gets any ratings at all is because he took couple of catches in the slips. Ajinkya Rahane was the surprise package of the tour. Everyone knew that this young man was talented but the ease with which he played the South African pacers was something unexpected. Rahane showed that he is one for the future and can serve the Indian middle order for a long time. Most of the times in the series he ran out of partners, if not he would have scored more runs. India needs to stick with him and along with Virat and Pujara; he can form a great middle order for years to come. MS Dhoni will be extremely disappointed with the way he batted in this series. It is a known fact that Dhoni isn’t a reliable batting option overseas but on this tour he was guilty of throwing away few good starts. Especially in the first innings of the Durban test when India were 320 odd for 5, Dhoni had a great opportunity to drive home the advantage with a good partnership with Rahane but it was not to be. Knowing how fragile the Indian lower order is, India cannot afford to have a non-performing Wicket keeping option. 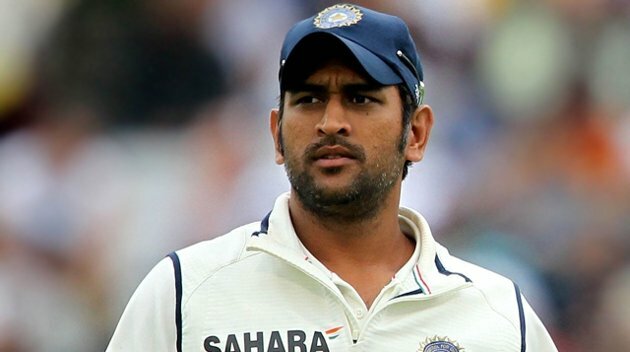 Dhoni needs to contribute more with the bat overseas if he wants to continue as the Indian wicket keeper. His captaincy too came in for lots of criticism and his usage of bowlers were bizarre in the first test while India were pressing for victory. Ravindra Jadeja played in the Indian team in the second test as the specialist spinner and as an all-round option. He was brilliant with the ball and troubled the South African batsmen. He was kind of a lone warrior in the first innings in Durban where he picked 6 wickets while the rest of the bowling struggled. He has probably sealed his spot as the premier spinning option overseas with this performance. The only thing which will concern the Indian think tank is his batting. His irresponsible batting in the second innings in Durban when India was looking to save the test was shocking. He had Rahane batting beautifully at the other end but decided to attack Peterson and got caught. Considering how poor Indian lower order has been India needs substantial contribution with the bat from Jadeja who is playing in the team as an bowling all-rounder. Ashwin began this tour as India’s premier spinner but at the end of the series has lost out to Jadeja. Ashwin did not have any redeeming factors in the first test. He did not bowl well and his batting too did not set the world on fire. He did bowl economically in the second innings of the first test but as the premier spinner he was expected to take wickets which he did not. It will be interesting to see his role in the future tours as Jadeja looks a sure starter in the first test against New Zealand next month. It was yet another frustrating tour for Ishant Sharma. An average of 62 and a Strike rate of 108 will do a batsman proud but for the premier bowler of a team with 50 tests behind him those are shocking numbers. The only reason Ishant finds himself in the team is because of his experience and I am not sure how long the selectors will continue placing faith in him. India needs to look past Ishant as he has been mediocre over the years. He needs to get back to the basics and probably spend couple of years in domestic cricket. The only reason he gets a rating is because of his good spell in the first innings of the first test. This was the comeback series for Zaheer and much was expected from him as the leader of the back. Zaheer has been with the Indian team thrice to South Africa prior to this series and was expected to use all of his experience to guide an inexperienced team on this tour. He started off well in the first test but lost steam by the time India reached Durban. The veteran though went past 300 test wickets becoming only second Indian pacer after Kapil Dev to reach that number. Zaheer will be hoping to do better in the New Zealand test series where he has a brilliant record in the past. We need him to guide the Indian pacers in some vicinity, if not a player at least as a consultant. Shami was the least experienced Indian bowler on this tour and even though his numbers don’t show it, he bowled with great heart. He was the only bowler who looked threatening and was always attacking the stumps. Shami needs to be persisted with and hopefully he will become a reliable bowler India has been looking for a long time. India would be hoping that he will continue to develop and will lead the Indian bowling for years to come after Zaheer hangs up his boots.